At CES 2017, HP Inc. debuted four new PC innovations that will change the way people interact with their PCs. The customer inspired HP EliteBook x360 1030 G2 is HP’s thinnest business convertible, offers long battery life, collaboration and security. The ENVY Curved All-in-One 34, is HP’s widest curved all-in-one, with new integrated sound bar design. 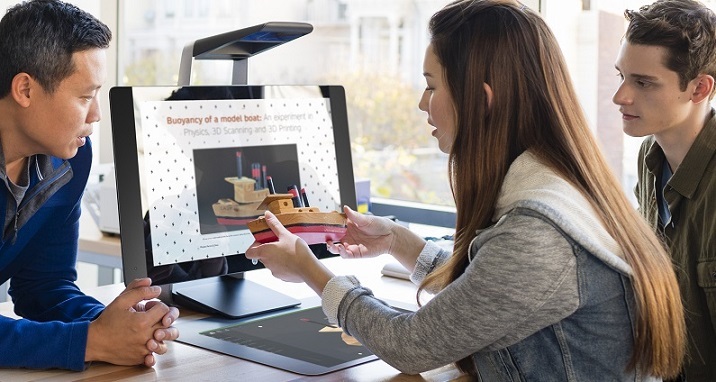 The next-generation Sprout by HP, Sprout Pro, is HP’s first immersive PC and gets a major hardware and software redesign to power HP’s Blended Reality 3D experiences. The OMEN X 35 Curved Display delivers immersive gaming with NVIDIA® G-Sync™ technology. With 360° of versatility across five modes, unmatched security, and up to 16 hours and 30 minutes of battery life, the thin and light HP EliteBook x360 1030 is the perfect PC for highly mobile professionals. 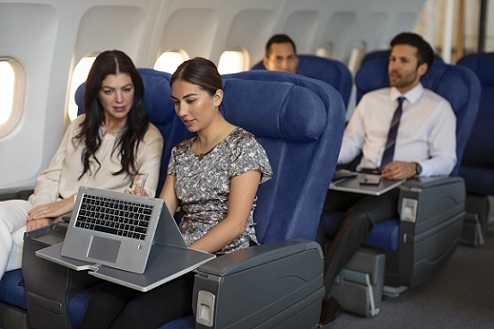 HP’s thinnest business convertible, the HP EliteBook x360 1030 G2 combines HP Spectre’s powerful thin and light design, HP EliteBook Folio’s collaboration capabilities and HP Elite enterprise security and durability. It features HP’s longest battery life in a convertible with up to 16 hours and 30 minutes. Its integrated collaboration capabilities enhance productivity and bring new life to meetings with dedicated conferencing keys, powerful audio, an optional 13.3” diagonal 4K UHD display with Windows Hello, and pen support. As part of the HP Elite family, HP’s most secure and manageable PCs, the business convertible includes the latest innovations such as HP Sure Start Gen3, self-healing BIOS now with run-time memory (SMM) protection. It also protects the office of the future with HP WorkWise – the most advanced Smartphone App for PC Management and first to offer Tamper Protection. The HP EliteBook x360 is expected to be available in early 2017 starting at $1,999 (inc. GST). From the craftsmanship of its ultra-thin, curved micro-edge display to every one of its almost five million pixels—transcend the realm of home entertainment with an immersive experience unlike any other. The HP ENVY Curved All-in-One 34 is HP’s widest curved all-in-one, adding more computing power for immersive media experiences. The new curved AIO features a 34” diagonal Technicolor Color Certified Ultra WQHD micro-edge display that floats over an integrated four-speaker sound bar tuned by Bang & Olufsen. For evening use, the display can easily switch to a low blue light mode for improved eye comfort and a better night’s sleep. 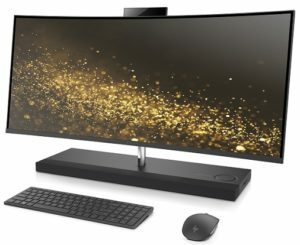 The HP ENVY Curved All-In-One 34 is expected to be available on HP.com and select retailers in late February 2017 starting at $2,999 (inc. GST). HP ENVY Curved All-in-One 34-b010 with new integrated sound bar design. 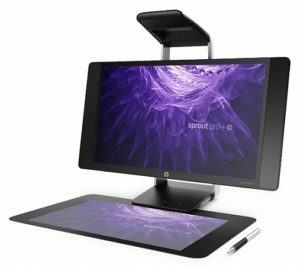 Sprout Pro by HP empowers you to manipulate the physical and digital worlds in innovative ways. Built with a PC, projector, hi-res cameras, Touch Mat and 2D and 3D capture capabilities, it’s an unbelievable experience. To better meet the needs of commercial customers, HP is introducing the new Sprout Pro by HP, the second generation immersive all-in-one PC. It incorporates a grounds-up redesign with a 2.2mm thick, 20-point capacitive Touch Mat display with a sharper, near 1080p projected resolution. The advanced technologies and new features empower users in education, retail kiosk and manufacturing to create highly visual content and interactive experiences by blending the physical and digital worlds. This generation makes it easier to interact with Windows 10 Pro and streamlined software gives easy access to Sprout’s key features including faster 2D scanning and, for the first time, high-precision 3D scanning. Included is an Active Pen, allowing pressure-sensitive digital inking for annotation and design. It also now features an Intel® Core™ i7 processor(11), 1TB of SSHD storage, up to 16GB of RAM, NVIDIA® GeForce® GTX 960M graphics for faster 3D scanning. Australian pricing and availability for the Sprout Pro by HP is yet to be confirmed. The HP Sprout Pro G2 gets a major hardware and software redesign to power HP’s Blended Reality 3D experiences. Immersive is an understatement — this curved 35-inch diagonal display surrounds your field of vision, while letting gamers experience the full potential of their rig. 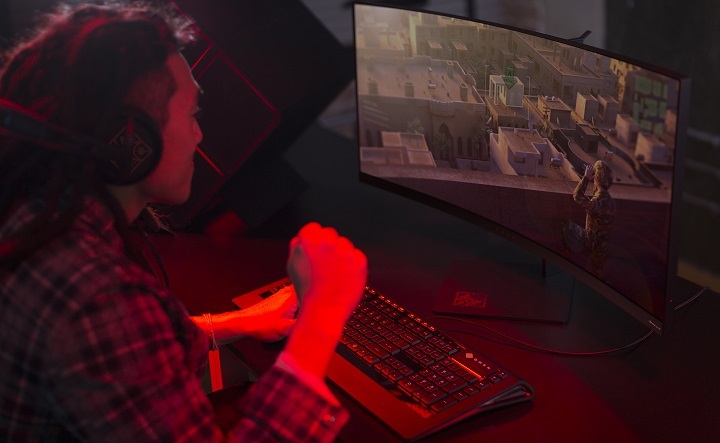 First launched in August 2016, OMEN X by HP is now bringing gamers closer to their virtual worlds with the new OMEN X 35 Curved Display. The first OMEN display with NVIDIA® G-Sync™ technology provides higher refresh rates that result in a more natural, realistic, and true-to-life gaming experience. The latest addition of a 35” diagonal curved display to the OMEN lineup adds a whole new level of immersion for gamers who engage enemies on the battlefield or maneuver against the competition on the racetrack. The OMEN X 35 Display is expected to be available on HP.com and through select retailers in late March 2017 starting at $1,999 (inc. GST). 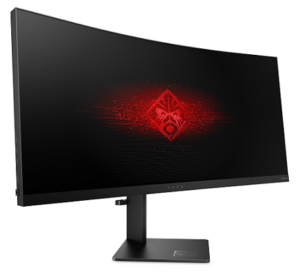 OMEN X by HP 35 Curved Display delivers immersive gaming with NVIDIA® G-Sync™ technology.